PI working to increase food security globally by understanding whiteflies and other insect pests. Honours student sequencing the whitefly genomes using the Oxford Nanopore MinION and developing data analysis pipelines to accurately and quickly discern between whitefly species. Visiting scientists from Democratic Republic of Congo, INERA. Interested in finding the casual agent of what is killing cassava in DRC. 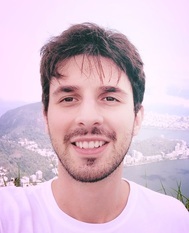 Sandwich PhD student working to understand the whitefly diversity in Brazil. ​Computer guru building a species identification tool for www.whiteflybase.com. Honors student, mathematician, working to analyze Nanopore sequence data more efficiently using neural networks and reservoir computing. Working on www.whiteflybase.org and also bioinformatics. 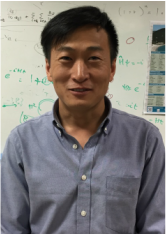 Dr. Guo is a visiting scholar from the Chinese Academy of Agricultural Sciences. He is studying the endosymbionts of Bemisia species. 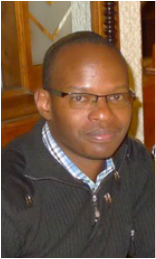 Dr Sseruwagi is a Research Scientist at Mikocheni Agricultural Research Institute in Tanzania. We study CMD, CBSD and whiteflies together. ​Jamisse is a PhD student enrolled at JKUAT in Kenya but he is based in Mozambique. CBSD diversity in Mozambique using NGS data. Jeanine is an MSc student from Rwanda. She is a plant virologist. Dr. Ndunguru is the director of Mikocheni Agricultural Research Institute in Tanzania. We study CBSD together. Professor Ateka is a professor at JKUAT and a plant virologist. Professor Krause-Skate is a professor at São Paulo State University and plant virologist. We study whiteflies and whitefly transmitted viruses in Brazil. Sunadda is a whitefly morphology expert. She came to share her knowledge and learn molecular identification techniques. PhD student working to increase food security in Kenya by controlling whiteflies on the common bean.